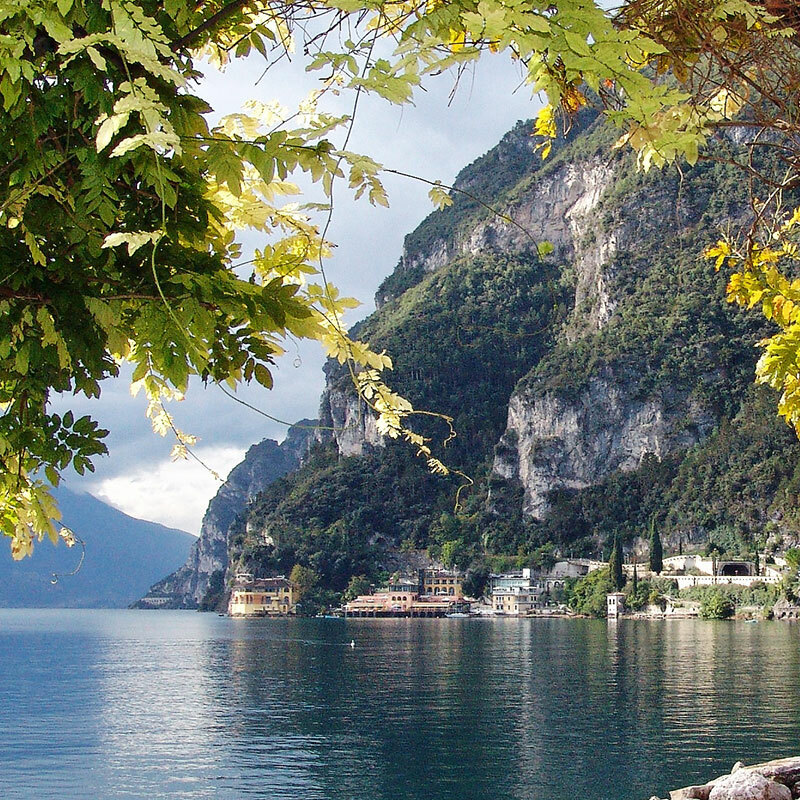 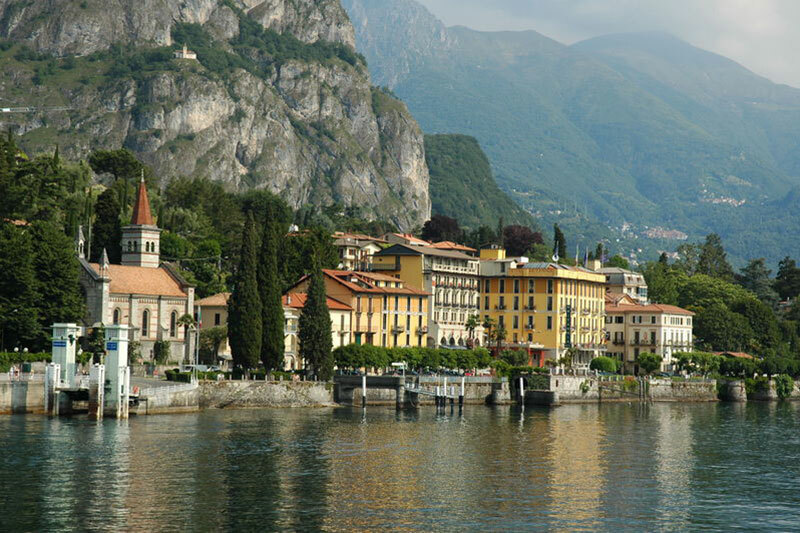 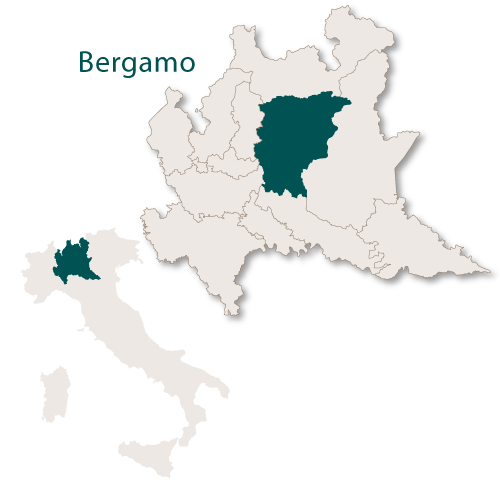 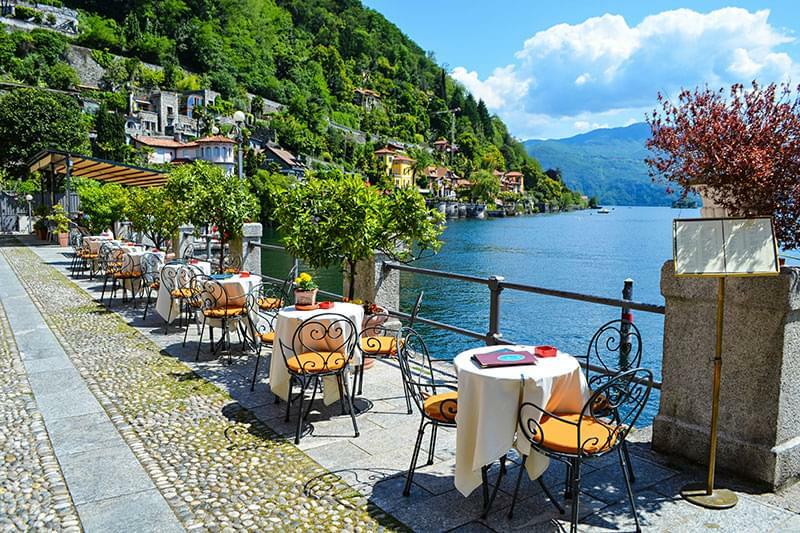 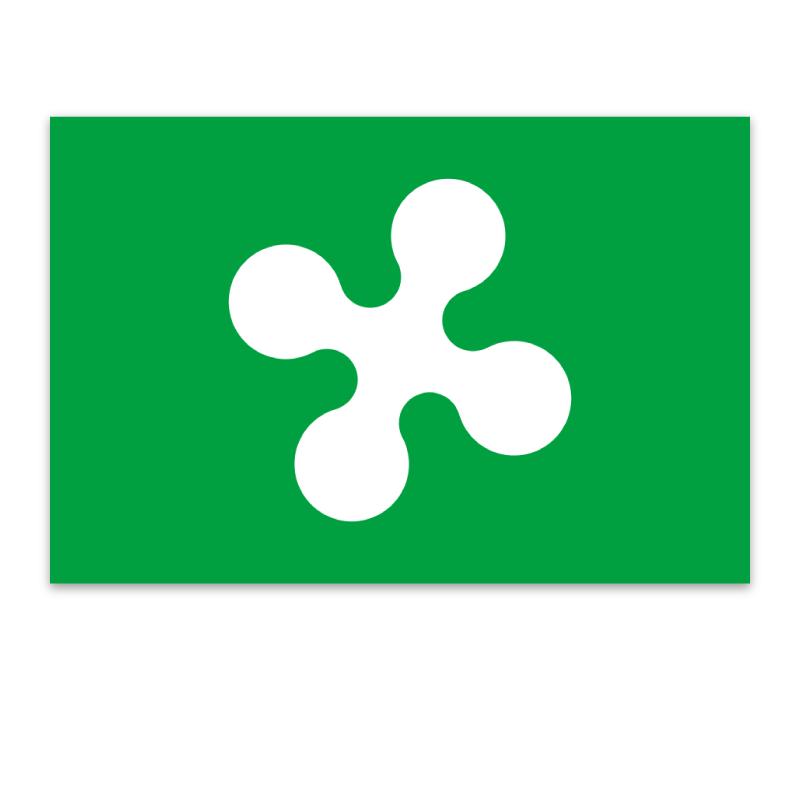 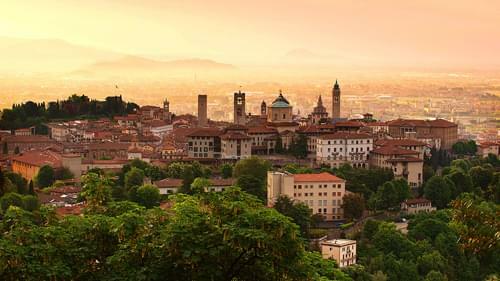 The large province of Bergamo lies in the centre of the region of Lombardy and covers an area of 2,745.94 sq.km. 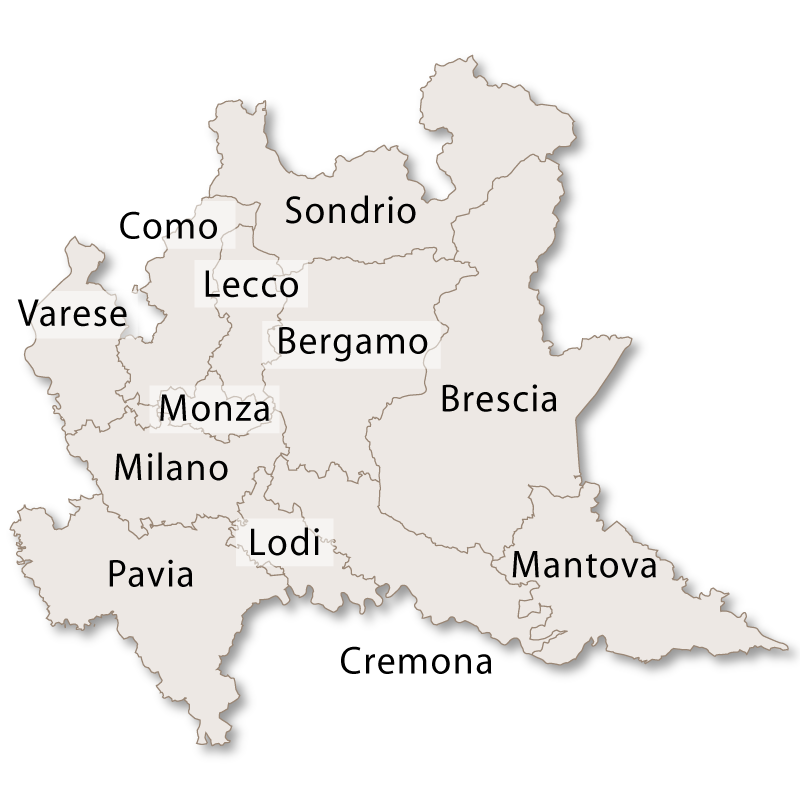 It borders the province of Sondrio to the north, the province of Brescia to the east, the provinces of Milano, Monza & Brianza and Lecco to the west and the province of Cremona to the south. 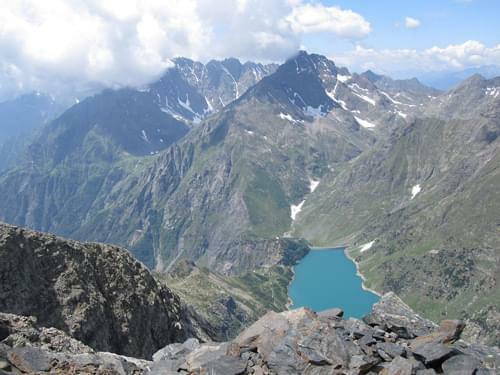 The nothern portion of this province is mountainous with the highest peak being Mount Coca at 3052 metres. 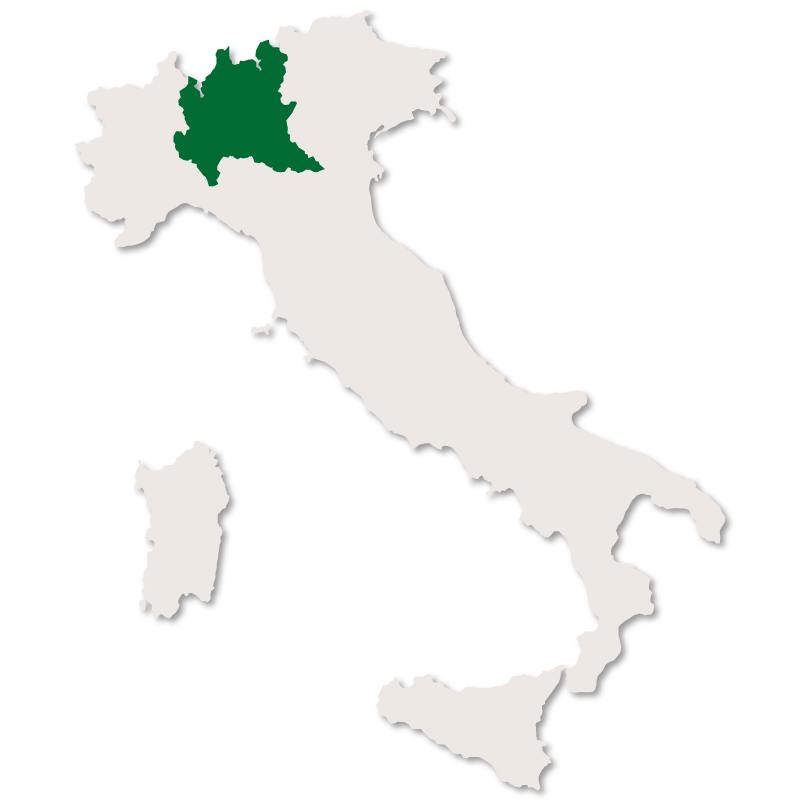 Moving southwards the province gradually flattens out and the lower lying areas are fertile and rich providing a perfect environment for the production of corn, rice and other grains. 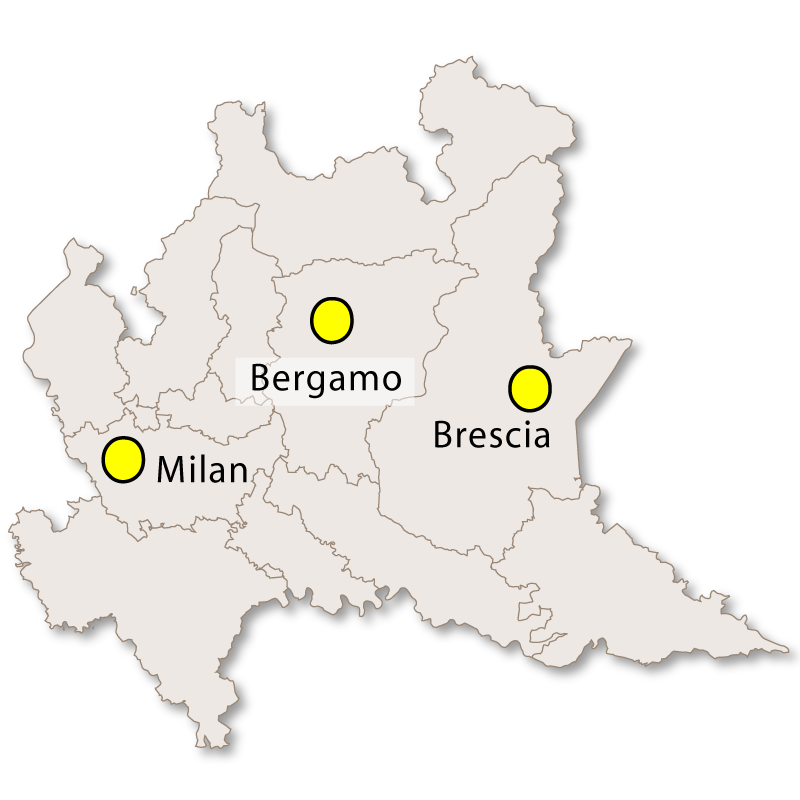 The capital city of the province is Bergamo with the second city being Treviglio.